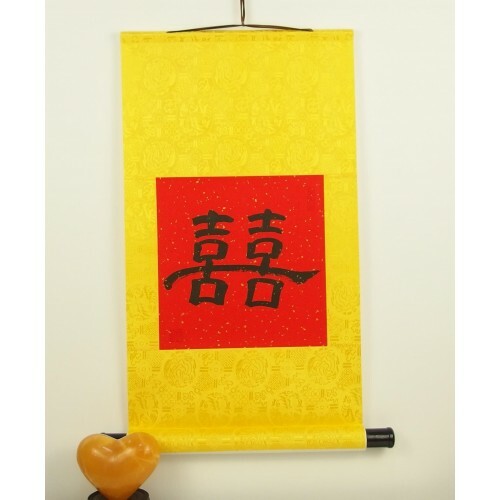 This ancient Chinese symbol for double happiness is extremely popular in China for good wishes and for giving as a gift, especially to newly married couples. It features the character for joy or happiness "xi," but it doubles it. Thus it is a wish for double happiness. Because it looks likes two characters coming together it has taken on a lot of symbolism related to marriage. Two people are now coming together and making a strong union that will bring happiness to both. 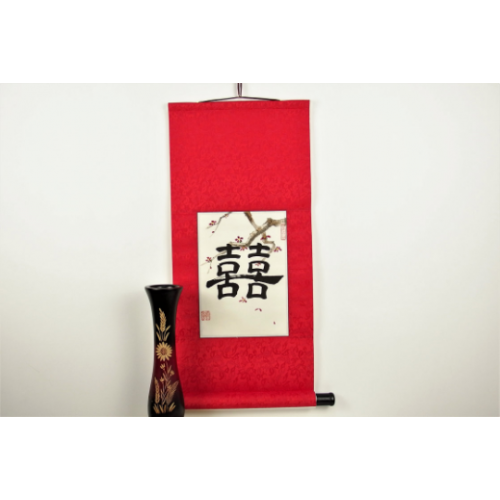 This scroll is strongly recommended as a wedding gift or to a new family. 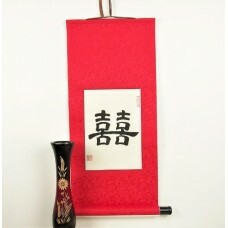 It is suggested that if you get this scroll, you choose the red edging color as this color is viewed as lucky in China. One of our most popular items, the double happiness scroll is an excellent choice for weddings, anniversaries, Valentine's day, or a gift to your loved one. It is very simple, but deeply meaningful. 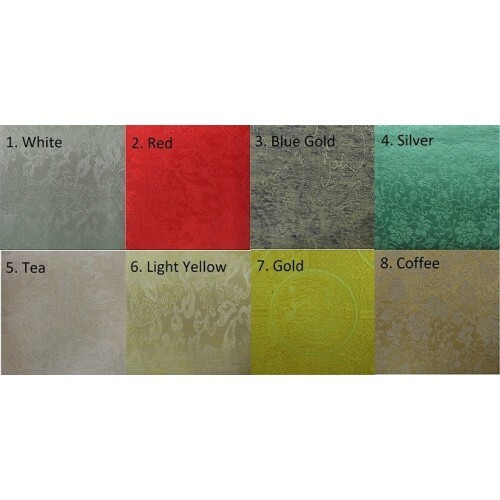 Every Chinese person will instantly recognize this famous character. And you will have a lot of fun telling your non-Chinese friends about its meaning and symbolism. Soon you will be viewed as an expert in Asian culture.